The Holy Qaballah is probably one of the most commonly misunderstood concepts connected with Occultism and Magick. “The Tree of Life” is a complex symbol which the beginner is not likely to fathom easily nor quickly, and a bit of investigation into the subject soon leads to confusion. This often tempts the student of Magick to abandon or ignore this arcanum altogether, often, to the detriment of his Great Work. The most common misconception of this subject seems to be that people mistake the symbols & images of Qaballah to be the things that they represent. Another common mistake is to conceive of the Tree of Life as something outside of the Aspirant. Rather than viewing the Tarot Atus as natural phenomenon which have a complimentary counterpart in the consciousness of the individual, the misconception is that these are symbols of mysterious forces beyond our material Universe, unattainable in the real world, ruling it by some unfathomable pattern. Gematria is even less understood and more often abused than almost any other occult practice. “And out of the Ground the Lord God formed every beast of the field, and every fowl of the air, and brought them unto Adam to see what he would call them: and whatsoever Adam called every living creature, that was the name thereof.”-Genesis 2:19 This then begs the question as to How was Adam (the Image of His Creator, ergo an Instrument of the Divine Word) able to name every living creature, by what means was everything classified? When the Israelites made their Exodus out of Ægypt they undoubtedly took with them something of the Ægyptian crafts of writing. This is evidenced in the evolution of the Semitic Group of scripts, to which the Hebrew Alphabet belongs. The Hieroglyphic nature of the early Hebrew lent itself well to an occult language, as had its precursor. There is almost no doubt that the Magick of the Qaballah is derived, maybe even indirectly, from ancient Ægypt, but in the form that we have come to know it there is little immediately obvious correspondence. What we do have are the Masterworks of Qaballah, most especially Genesis and the Exodus, but also the Zohar and the Sepher Yetzirah. Of particular note to magicians and Qaballists alike is the Shemhamporesh, or Divided Name which is in the Exodus and is a foundation of the Hermetic method of attainment. This word is the fullest expression of Tetragrammaton and would have been the work of generations of work of the Hebrew Adepts that wrote this Book. In any event it represents an attempt at expressing the Totality of Everything, and that as a multitude of symbols in one. The Christian era borrowed from the Holy Qaballah (fishes, crosses, wine & bread etc. etc. etc….) but essentially, as the central message of these faiths is denial, the Holy Qaballah was forced to conceal its Truth. It went underground to survive as the Occult tradition of Western Europe, England (to an extent) and the Americas. Of note is the Voodoo traditions of the Caribbean, which mixes Catholicism, Satanism, traditional European Magick and African symbolism & Gods to achieve its Great Work. With the advent of the New Age the denial of the Truth of Holy Qaballah need no longer be denied. Christ can take His Place upon מייח צע with his mother and father, and the knowledge wrought by His Sacrifice may be employed by Everyone. If the importance of Holy Qaballah is truly doubted, take note of the serious interest that Dr. Jung and his School have taken in Astrology, Tarot, I Ching & etc. The Holy Qaballah is All of these and more perhaps. The images of the great artists of the last century, the Expressionists, or perhaps more so, the Surrealists, have expressed concepts very much akin to the symbols of Holy Qaballah, note especially Miro and often even Picasso. ‘Tis true, without falsehood, and most real: that which is above is like that which is below, to perpetuate the miracles of One thing. And as all things have been derived from one, by the thought of one, so all things are born from this thing, by adaption. The Sun is its Father, the Moon is its Mother, Wind has carried it in its belly, the Earth is its nurse. Here is the father of every perfection in the world. His strength and power are absolute when changed into earth; thou wilt separate the earth from fire, the subtle from the gross, gently and with care. It ascends from earth to heaven, and descends again to earth to receive the power of the superior and the inferior things. By this means, thou wilt have the glory of the world. And because of this, all obscurity will flee from thee. Within this is the power, most powerful of all powers. For it will overcome all subtle things, and penetrate every solid thing. Thus the world was created. From this will be, and will emerge, admirable adaptations of which the means are here. And for this reason, I am called Hermes Trismegistus, having the three parts of the philosophy of the world. What I have said of the Sun's operations is accomplished." How else might we know that this is so? Except by a Schema which encompasses All. Such is Holy Qaballah. As such even Θελημα is but an expression of Holy Qaballah, but one of the fruits of the מייח צע. The preceding is of little or no value in reality, being merely a possible rendition of the history and evolution of the system, something which can never be proven (this is true of all history), but which, nonetheless, comes to us in the modern day as a robust and complete (as far as we can at present comprehend) schema. The ancient Essenes that first elucidated the schema of Qaballah devised it as a symbol of the entirety of Creation, as they knew it. From the Emerald Tablet we see that it was Known that thereby they had created a map of the Instrument of Human Perception. In this form it is of more importance to the Twenty First Century Magician. Based upon the interactions between the concepts of the Ten Numbers of the Decimal System, and of Elucidian Mathematics, the מייח צע has come to be largely mistaken for the Holy Qaballah itself. This familiar image is but the means used to express an idea of ‘drawing’ to Holy Qaballah. Every other symbol, or series of symbols, attached to Holy Qaballah are the same. 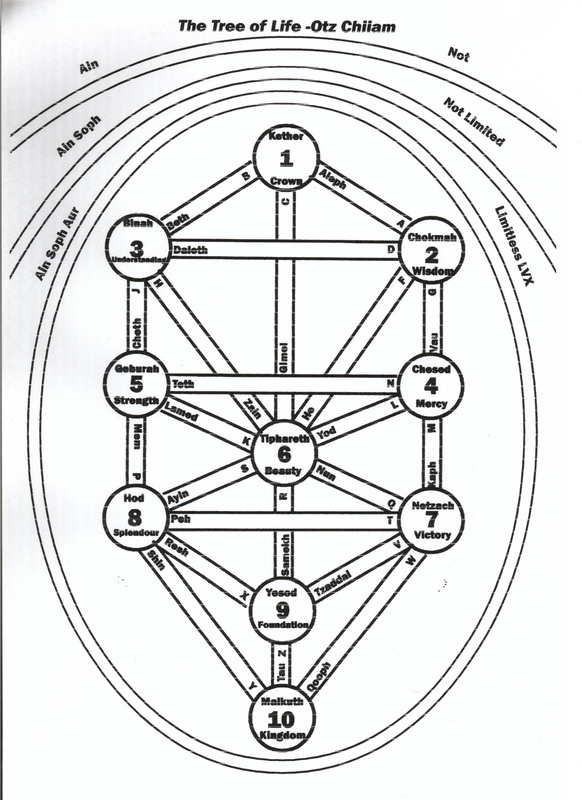 Not the Qaballah itself, but another attribution to the relationships expressed as the Holy Qaballah, usually expressed graphically as a table or in the diagram of ‘the Tree of Life’. These devices are merely the means of communication between adepts of this study, and not the Holy Qaballah itself. Even to totally subjectify the Holy Qaballah, attributing aspects of the Human Psyche to the Ten Lights and Twenty-two Paths is but another symbolic representation of the associations between the individual and the Universe that he perceives. 31. the sensible perception of one's motion, time, place, direction etc. The Importance of this schema then must be to symbolically represent All that might be perceived by the human vehicle. Such as it is, this schema, Holy Qaballah, has existed since our conception of an Universe, and of Man, and it will exist beyond Man to the end of an Universe. This is because it is the expression of these beginnings & endings & thereat in between. From this it will then become obvious that the challenge to the Qaballist of the Age of Horus is to find a way to attribute his modern symbols of his Great Work to this eternal schema, so as to understand the Holy Qaballah more completely thereby, as the Essenes must have had to find a means of attributing their symbols to the system in the Age of Amoun-Ra-Osiris. Even a passing examination of Ægyptian Mythology & Cosmology reveals that their Adepts were too engaged in this opus reticulatum. The work of many Thousands of Years, perhaps, went into the classifications of מייח צע. These generations of the contemplations of trained & quietened minds has provided a highly refined symbolic image, the validity of which Will be underscored by individual examination. How then could anyone seriously consider abandoning or overlooking such a highly evolved system of expression of the human experience of Its’ Life? It must be here prefaced that this Qaballah is expressive of a particular Magnum Opus, and whilst it may contain elements of a useful nature to many others, it remains nonetheless, biased entirely towards One individual. Because this Frater has found an order & value of a particular nature, this Qaballah needs must therefore reflect that idiosyncrasy. Another may replace the order & values given without disturbing the integrity of the מייח צע at all. 0 Nu! The hiding of Hadit. 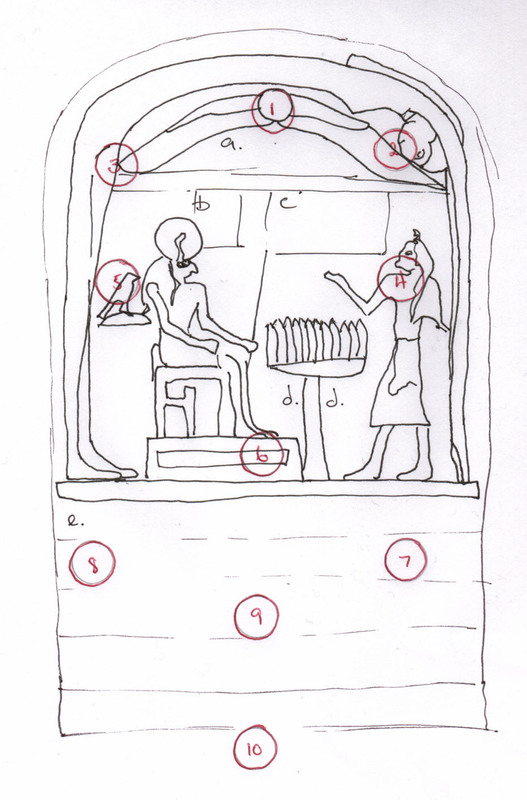 This arrangement, it will be noted, includes dual forms of Nu & Nuit and Had & Hadit. The inference that I have drawn from these varied spellings of these Divine Names, is that the suffix ‘IT’ implies a force in motion, or a force that is apparent by its’ motion. The Names given in the Book of the Law without this suffix therefore imply an undefined concept of Godhead, that is; without a point of material reference, infinite. By the attributions of the letters in the Qaballah of the English Alphabet being investigated here ‘I’ is definitely fiery, being phallic shaped and the personal pronoun, a word of self identification. ‘T’ is attributed to Mars, the Path of the Exciting Intelligence, the Tarot Atu XVI the House of God, which implies the defined material reference as being the House of Nuit or of Hadit etc. et al. By comparative Hebrew Qaballah the symbolism ונ & טיונ and תידאה & דאה is very similar: טי is P & Q, the Secret Force of Animation and תי is V & Q, the Secret Force of an Universe. צי is also suggestive as L & Q is the Hidden Force which rules or governs. Any of these Gematrias tend to support the inference of restricted force or a force apparent by its’ motion. This initial contemplation upon the Qaballah of the Book of the Law has then lead to the arrangement of the Supernal Triad and the three veils of the Negative in the format given. The Names given for the Negative have been derived thus: Not is the meaning of ניא, the question mark implies “Not What?”, perhaps hinting at the latent yet unformed possibility of Positive manifestation. The answer is No!, the limit of Not must be an affirmative negation, expressed in the exclamation point. This is symbolic of the negation of the phallic ‘Is’ of Had! The negation of the positive principal implies the existence of ‘IT’, ergo Nu! The hiding of Hadit. Within the infinite, undefined Goddess of Heaven is the image of the Mother of All Life, known only by the limitation which this Godhead individually expresses of the essential ‘IS’ of Had, hidden within the infinite forms potentially latent in Nu. The next reference to infinity, or eternity, being Qaballistically defined here as the Procession of the Equinoxes of the Gods is derived from the infinite symbolically portrayed in the (apparently) endless cycle of the orbits of the Planets around Sol and of Sol’s infinite cycle of orbits around the galaxy etc. etc…. This picture may not be scientifically “Eternity” but for the purposes of this contemplation it is certainly a good step towards a comprehension of the infinite as it may manifest itself to us. Had! The manifestation of Nuit. Nu is housed in the essence of form, which is yet general and undefined until it is motivated to a particular constitution by the manifest Godhead of Nuit in the form of Divine Breath, or the Word, symbolised as ABRAHADABRA, which animates all living forms, giving birth to them as one of the multifarious forms of Hadit. “?” of the Abyss stands between the Ideal Triad and the Real Septenary of Lights, and is called Chaos. The question mark is now a positive challenge to the Ideal, rather than an inquiry into its’ possibility. Now “?” asks “How” or “Why”?? ?, inviting differentiation to enter into the Perfection of the Supernal Trinity. The positive “?” invokes Knowledge, תעד, and implies that Chaos is Doubt, ergo Order is Certainty. Order, Form, structure, conception & et al. belay an hidden organisation, revealed somewhat by modern physics, perhaps, though never in separation from ‘motion’. This organisation must be an opposite concept to Chaos, but also complimentary to Hadit. This eternal form of life is called Amen by the Book of the Law, but in reality He is of course Amoun. 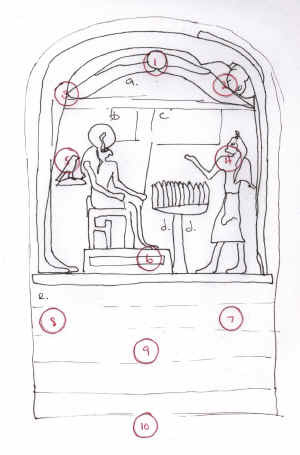 Amoun whose Name means “Concealed One”, appears in the Stele 666 as the Priest enlightened by the Godhead. Hadit further instructs us that He is at the centre of even this Eternal God, and so the Qaballah makes Hadit to be in the Form of Amoun, as perceived by the Priest, in the Sephiroth of Chesed. The Divine Hawk at Geburah is the Twin God Hoor-Paar-Kraat/Ra-Hoor-Khuit, or Horus of the Two Horizons, and being apparent by His Motion I have placed Him at 5. It is the latter form of Horus who is dominant in the arrangement though, as it is Ra-Hoor-Khuit that sits upon the Throne of Ra, and it is this form of the God that we are immediately cognisant. Thus Ra-Hoor-Khuit is the form of Sol in this Aeon (as Osiris was before Him, whilst Typhon/Set/Saturn/Satan was attributed to Malkuth as is the Silent Hoor-Paar-Kraat in this Aeon). Ahathoor and Tahuti are attributed as traditionally, but in this arrangement they appear more as complimentary aspects of Hoor-Paar-Kraat. This is true also of Isa/Asar, Isis and Osiris have ascended into the Formative realm of myths, their Aeons being completed. Horus is thus made Lord of the Aeon, and this is the basis of Hoor-Paar-Kraat’s attribution to the Sephiroth of the Kingdom. 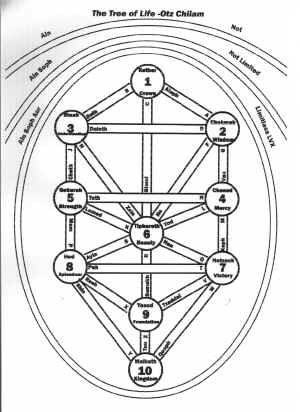 Derived from the interactions of these ten Lights are the twenty-two Paths of the הריצי רפס, the attributes of which are well founded in traditional Qaballah. The contemplation of a new “English Qaballah” in comparison should either prove enlightening or disprove the “English Qaballah” in question. Thus the traditional attribution of the Path of the Scintillating Intelligence is symbolised by א, the Word of Kether is as a whirling thunderbolt, from which springs all manifest multiplicity, imaged by the meaning of ‘Ox’. The value of the Tarot Atu of this path is 0 the Fool, numerically this implies that the issue from the ‘One’ can only be Nothing (ie Nuit’s Word- vide supra) until there is ‘Two’. Idiographically the Fool is the image of the departure from Unity, best communicated to the material & multiple mind of man as Folly. ב, the House, and ‘B’ are obviously identical in both arrangements, and even the sound of the letter in English suggests the concept of the sphere of the Godhead of Kether היהא, Being. The first departure from an obvious association of Qaballahs of these Alphabets is ‘C’, which relates to the Path attributed to ג.
Gimel means ‘a Camel’ and it is attributed to Luna which is probably the original inspiration for the shape of ‘C’. As the precursor to ‘G’ in the Latin Alphabet it is more likely to have been the equivalent Letter originally. The fact that ‘D’ is obviously equivalent to ד also tends to support this idea. For ה to become ‘F’ requires more imagination, but as the source of the letter ‘F’ is a late invention based upon the letter ‘E’ (traditionally transcribed for Heh), and the Effeminate associations of the letter seem a good point to begin a contemplation upon this correspondence. ‘J’ is suggestive of the symbol O, and as ח has not got an English equivalent, being derived from ה (Heh is a Window, Cheth is a Fence) and perhaps the consonant sounds of Cheth and Jay are not too different for there to be a correspondence. ‘J’ is from ‘I’, being an attempt at a consonant pronunciation of the vowel sound. The name ‘Jay’ for ‘J’ has the Word concealed in it, so perhaps the Tarot Atu VII the Chariot is an appropriate association. By the arrangement of this Qaballah ‘K’ has become the eleventh letter, which previously had been ל. This presents the first real difficulty in the contemplation. כ is H, ל is Y, ruled by E. Is this new arrangement possibly valid? The Tarot attribution of Y is Atu VIII Justice, or Adjustment. In the Aeon of Osiris, the Ox Goad was the instrument of Law over the Herd of the Lord’s children. לא is God of Law, apprehended as the Ox and the Goad. The merciful justice of הוהי was Love, E, Agape, and both Tetragrammaton and Eare of all ten Sephirah. In the Age of Horus, Justice is no longer Mercy but recalibration, perhaps vengeance. Not an act of omnipotence, but of Power and that without quarter. The only true equaliser of humanity is Fate, veiled True Will, the Hand of God. ‘Kay’ implies that this ‘Fate’ is a veiled form of the Word ABRAHADABRA, ergo the equaliser of Humanity is our individual portion of this Word. The Goad of Mankind is no longer sublimation of the one to the many, but towards the discovery of the True Individuality and so it seems apt that ‘L’ moves to the Path of the Intelligence of Will, of י. As Yod is ‘I’ or perhaps ‘Y’ or ‘J’ it is already attributed elsewhere in this arrangement. 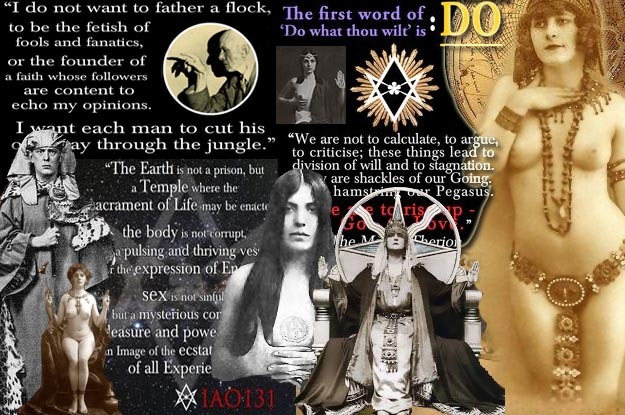 “El” is the pronunciation of לא, and implies the Godhead hidden in natural law, Amoun, of Whom the Holy Guardian Angel is a personification, the Hidden Higher Self, the essence of True Will, the Law of the new Age. מ was Water and Atu XII the Hanged Man, an icon of the Aeon of Osiris. As the concept of sacrifice of the individual has been superceded by the development of the individual True Will at the expense of the general Will (which is the True Will of the General in this new Aeon, and so there is No Conflict to any individual development of True Will), and thereby the symbol of this path might be changed to be “the Prophet”. ‘M’ is attributed to the Path of the Intelligence of Conciliation, the material position of the State in the Age of Horus (so far), and to Tarot Atu X the Wheel of Fortune, the Path of Initiation is now the Path of the Wheel, the Magick circle, no longer the cross of martyrdom. ‘N’ has also changed its’ place upon the Tree of Life, now placed upon the path attributed to ט, the Serpent concealed in the Path of Nun has become openly symbolised in this arrangement. Teth has other possible letters to compete for possession of the phonetic ‘T’ of the English Alphabet, Tau being most consistently obvious, therefore the new attribution. פ was G and Atu XVI the House of God, with the meaning of Mouth. P is the essence of Elucidean geometry, and a cornerstone of Pythagorean mathematics. A symbol of rational thought upon which a civilisation has been built. These concepts have largely been overthrown by Science in the new Aeon. These concepts have given up their essential truths and passed into the realm of ‘reasonable compromise’, a passable interpretation of the interaction of Intellect & Material Inertia. The human image of compromise might then be ‘the Prophet’ who’s life is between the Divine & Material worlds. ‘Q’ is an excellent symbol of transformation, and therefore easily attributable to the Path of the Imaginative Intelligence. The symbol of the Fish is no longer the image of the Aeon’s secret force (נ means a Fish (and see the Paris Working- Aliester Crowley!)) but of the Son. ‘Q’ is derived from ‘O’, an Universal symbol of the united elements, or of Spirit. ‘Q’ is therefore an image of the spirit extended by the phallic cross-bar in ‘Q’. In addition ‘Q’ cannot be legitimately used save in conjunction with ‘U’ the letter (by this cipher) of Water. Just as in nature no True Change is wrought without a catalyst, and that of a complimentary nature. ‘R’ is ‘P’ with a phallic extension, an excellent symbol of the issue of the application of ‘reasonable compromise’ (vide supra), extended. The Tarot attribution of Atu XIV Temperance or Art underscores this concept. ‘S’ is solar, from ‘Sigel’, the Sun rune of the Norsemen. ע has no exact counterpart, but even so, the eye has revealed itself, and it is the Eye of the Hawk, the Sun. Satan is material restriction to the progenerative power of Sol, nothing more than slavery to earthly existence, thus the Tarot attribution of Atu XV the Devil. ‘T’ is the Path of the exciting Intelligence, being attributed to Atu XVI the Tower, which is superficial, yet suggestive. ת was the limit of the Alphabet (and the Greek W), but the Universe is greater for us now, and so the greatest possible confinement of our elements is perceived as being the Abode of Heaven, of which the known Universe is but an image, a House for the Gods and their children. צ has no exact correspondence in English, and both ‘T’ and ‘Z’ are already determined to Paths. The rearrangement of the Tarot Atu’s implied by the Book of the Law and this Qaballah give this Path of the Natural Intelligence the attributions of Atu IV the Emperor and the letter ‘V’. No longer does the Pope symbolised by ו, the Nail, govern worldly affairs, but now the Emperor, Ruler by Conquest, is the personification of this consonant sound. It is notable that ‘V’ is a similar shape to L.
‘W’ is a letter made from ‘VV’ or ‘UU’, as a printer’s convenience originally, but later adopted generally. This dual watery nature is very similar to \, a reflection of a reflection, elusive as fishes, and a projection of the deepest unconscious. ‘X’ is definitely a phallic symbol, being complimentary and equal to ‘O’. From ‘Gyfu’, the rune for ‘a Gift’, the Solar and identifying nature of the letter is easily discernable. ‘Y’ suggests the question “Why?”, the first step to knowledge and thence to action. The Holy Guardian Angel is the Small God, so י is now upon the Path of ש, the fire of the Father has replaced the identification of the Trinity as outside oneself. The new trinity of Nuit-Hadit-Ra Hoor Khuit is perceived as containing all expressions, even the individual, as it is the essential energy & path of Life. ‘Z’ is “Zee” in the US and “Zed” in English, but either way the symbolism is suggestive. Originally derived from ‘S’ the Solar influence is expressed as completely encompassing, replacing the Tau which extended the Universe as an Image of a Serpent, which was itself but an image of the Sun. ‘Z’ is thereby an excellent symbol of the ultimate extension of Sol’s creative energy, being graphically complimentary to ‘S’ but of essentially the same character, another manifestation of the Solar influence radiating from Tiphareth, our Lord Ra Hoor Khuit. Even though these correspondences may be made to fit into the schema of the Qaballah, they offer little in the way of practical information just as a system. The ultimate aim of these practices is of course to apply them to one’s Great Work. The progression of the Sephiroth is called the Flaming Sword, and the Paths which connect the Lights in this order must thereby reflect something of the progression also. This sequence of Paths is א; ד; (Abyss); ט; ל; נ; פ; ר; & ת. This sequence is also the Tarot Atus: 0 the Fool; III the Empress; (? ); XI Lust; VIII Adjustment; XIII Death; XVI the Tower; XIX the Sun; & XXI an Universe. The letters are Ox, Door, Serpent, Ox Goad, Fish, Mouth, Head & the Cross. The material form passes through the Door of Chaos, to be incarnate as a form of the Serpent. The Law of the material world in all of its’ elusive forms and transformations, which are the issue of the Mouth of (the House of) God who is as Sol and expressed in the Elements. The Tarot sequence might render; the impulse to create harmonised and consecrated passes through ?/Chaos; to become animated life adjusted to its place in an Universe wherein the rule of Change is by Death, which is but the destruction of one form for another which is in turn resurrected by the Solar force of Identification to again be a part of the manifested Universe. The progression from one light to another is expressive of the motion, incrementally, from the Ideal to the Manifest, and each step is thereby expressed as a symbol. Concealed within these progressions is often another or other Paths. Thus the progression from Kether to Chokmah is expressed as Aleph, the Fool, Air, etc but the Progression from Chokmah to Binah is Daleth, the Empress, Venus, etc. and conceals the Path of Beth, the Magician, Mercury, etc. This might be interpreted then as ‘the Consecration of the Empress is wrought by the Magician’ & ‘the Door of Daleth is to the House of Beth’. The point of all of this elementary Qaballah is to point out the depth to which the Holy Qaballah has been evolved in Hebrew, so that the depth of a true English Qaballah might have some basis for comparison. The value of an English Qaballah must be that it is able to sustain this sort of development also. In fact all of the Paths of the Flaming Sword should be amply described by the letters attached to them regardless of the Language, or the Qaballah of letters must needs be invalid. The coincidence that the Paths connecting the Supernal Triad remain virtually intact and equivocate easily with the Hebrew implies that there may be a useful arcanum in the English Qaballah that may be elucidated by some small meditations. These elucidations though, must be of an individual character to comply with the Word of the Aeon, whilst not to exclude any possible general relevance. Connecting Kether and Chokmah is ‘A’, the indefinite article in English, and an apt extension of Had, the indefinable point. The further extension into Binah invokes ‘B’ and ‘D’. ‘AB’ is “from” and ‘AD’ is “to”. Ab is from Kether, ad is to Binah. Crossing the Abyss then implies ‘G’, which manifests in motion via the Path of ‘N’, which combination has been dealt with already (vide supra). Form & Motion are the summit of learning upon the earthly level. This knowledge is tempered by the ‘J’, the Chariot which bears the essential and indefinable point in each individual manifestation issuing from the Graal, manifested in its incarnate form. ‘J’ is ‘I’ expressed as a consonant, and graphically a feminine expression of a phallic symbol, thus the Charioteer is male yet the central image of the Atu is the feminine Graal. To some extent this is a symbol of the Creative World, formerly perceived as the י of Tetragrammaton, as truly being the masculine extension of a feminine existence. Continuing on to Tiphareth, the Path of the Faithful Intelligence is ‘K’ and concealed therein are the Paths of ‘C’ and of ‘L’. God’s Hand, ‘K’, is apparent in the Balance of Nature, which conceals the Unity of Kether via the Path of the Camel and has hidden in its outward expressions an inner form which drives it (as a Goad?) to achieve its ultimate expression. The true apprehension of the Harmony of an Universe is that which determines the balance between inner and outer forms. The progression of the degeneration from the perfection of Tiphareth to Netzach is symbolised by ‘Q’ which also invokes ‘M’, the spiritual extension of Death issues from water (note also that Q is used exclusively with U, the vowel attributed to water), this Water is itself manifest as the Wheel of Life. The Mother of All is known as an Eternity of Cycle of Change. The progression to the reaction of Hod traverses the Path of ‘T’, the Tower, and conceals the Paths of ‘S’, the Devil and ‘P’ the Hanged Man (or the Prophet- vide supra). ‘T’ is the cross of the Elements, the material form in its’ constituent portions. Concealed in this form are the Solar S, the material perceptions, Baphomet, who transmits the Word of the Path to the Intellect. Armed with this knowledge of his place, the individual can arise in Self Knowledge, the Gift of the Gods, symbolised by ‘X’. This Self Knowledge has been wrought by Science (ie. The observation of the Laws of an Universe) and by Art (ie. The manipulation of the artifice of an Universe), and liberates the mind from the tyranny of its Unconscious Ruler by the agency of a Discipline. ‘R’ is the phallic extension of ‘P’, the sacrifice made by intellect in dealing with material inertia to its vision. ‘V’ is the original ‘U’ (and a potent symbol of Victory?) bringing the undefined to a point, as the discipline trains the elusive unconscious to obey the objectives of the mind & body. Finally the Path arrives at the Kingdom, via the Path of ‘Z’, the outward and complimentary expression of the ‘S’ (vide supra). Concealed therein are the Paths of ‘W’ the Moon, and of ‘Y’ the Aeon. Beneath the surface of the manifested universe is an Image of an Image, but analysis of that image is the first step towards perceiving the Unity inherent in the whole schema, the gateway from the Kingdom unto the Crown. From even these short sketches of some possible contemplations, it can be seen that a Qaballah of correspondences between English letters and the Paths of the Serpent may be formed. This is no doubt true of many English Qaballahs, each individual is after all constructing his own Qaballah as a consequence of his personal Opus. The true test of any of these Qaballahs must be their robustness in their application in attributing new information to one’s established Qaballah. If the symbolism generated by these correspondences is concomitant with one’s previous work then their value is proven. It is in the interpretation of Magickal Names and Words that the mettle of an English Qaballah will most certainly be tested. An instance perhaps when a magician wishing to work with IVPPITER for some particular purpose, may find that הוהי is too severe or confined too much to the Format of Law, whereas Ζωεσ may be too inconstant and distracted by trivialities for his purpose. Being attracted to the Imperial nature of the Roman Jove by the consonance with his operation, he would then test his Qaballah in making his choice of the form of this Godhead to be employed. The Latin IVPPITER renders the Qaballah of: Fire, Aries, Water (twice), Fire, Mars, Earth and Sagittarius. ‘I’ is the father, Fire; ‘V’ is the Emperor, the dominating force of Jupiter expressed via Mars; ‘P’ is the watery AL, ‘T’ is the masculine principal in its’ pure form, ‘E’ is the domain of this Godhead and ‘R’ is His method, that is, synthesis with Man is the motive force of this Godhead. Even the Gematria of 137 is cognisant traditionally, as the value of הלבק, the ultimate extension of Tetragrammaton. Alternative investigations into the Names of Jupiter or of Jove may prove more fruitful again, dependant entirely upon the nature of the operation at hand. The initial ‘J’ implies that this Godhead bears the Graal, and indeed Jupiter fathered Venus, the image of this very Chalice. Jove similarly implies this force as the Dominating Ruler of the Earth. Likewise, perhaps an Adept meets an Angelic figure upon a particular Astral Plane. The English Qaballah should be able to deduce something of the nature of this being, and the image presented should show some correspondence to the attributions of the letters of His Name. This is so for all magick Words soever, and indeed a truly complete English addendum to the Holy Qaballah should be adaptable to all magickal operations of any sort. A very thorough test of any Qaballah (even the Hebrew) might be found in the Magick Squares of Abramelin the Mage. These talismans are formed of Latin letters, laid off in squares of various sizes, which the applications of correspond to dozens of classical magicks. Interpretation of these squares by Qaballah has always been difficult due to the lack of a Latin Qaballah, until the present. Any English Qaballah worth its salt would most certainly prove to be a useful tool in the interpretation of these most magickal mandalas. This square of five by five (as Mars) has only five letters; the spiritual ‘O’, ‘H’, ‘P’, ‘L’ and a central ‘B’. Of these there are 12 x ‘O’, 6 x ‘L’, 4 x ‘P’, 2 x ‘H’ & 1 x ‘B’. The sums of the lines is; HOLOP = 51, OPOLO = 40, LOBOL = 35 and the sum of the squares is 217, which is the number of ריוא ; the Air, ergo the sum of the square implies that Element. ‘H’ is Gemini, an Air sign, which sign particularly implies birds, especially for their calls, and most especially birds which make speech like sounds. ‘L’ is the Hermit, Virgo, the pure consciousness of Form and ‘P’ is the sacrifice of one form for another, upon the spiritual plane of the ‘O’. In the second line, this sacrifice is intensified and leads towards the central ‘B’, the operation of the Magus, his Word, which is extended outward, in reverse to the concentration of the magick force in the central letter, described above. Although inconclusive without experiment, the results of this short contemplation are encouraging, and perhaps allow for the introduction of new symbols to the traditional Qaballah. The potential for expansion upon the basic framework of the ‘English Qaballah’ seems fairly sound, and this should be true of any of these schema at all. As stated earlier in this essay, the English Qaballah of this exposition has been chosen upon the basis of familiarity; for which bias the author most humbly apologises, but begs the excuse that the object of this epistle has been supported thereby. The practical applications of an ‘English Qaballah’ may be extremely useful to the Great Work of any magician, allowing a broader source of symbols than was previously the case. In fact, the completed Qaballah of one’s Great Work is the most significant symbol of oneself that might be made, and as such it is perhaps the most essential glyph of the Path yet devised. The value of this schema as a pattern of attainment is already amply proven (vide the Golden Dawn and any number of the works of Aliester Crowley, especially his Confessions) and so any cipher which attributes the English Language to this schema is certain to be an assistance in one’s progression from Malkuth towards the Crown. The portion of the Qaballah which assigns symbolic values to the letters of an Alphabet gives rise to the study of the relationships between numbers and words, commonly considered to be the science of Gematria. Often these studies are mistaken for the Qaballah, when in reality they are not, nor are they the study of Gematria, only a portion of it. Giving values to letters and words, by some arbitrary yet consistent system, is merely a means of introducing another symbol base to these mathematickal meditations, allowing the extension of these contemplations into significant Words and Names which are impacting upon one’s Great Work in some manner. The essence of success in this practice is in the consistency of the system and the methods by which it is employed. Forming only one-third of the literal (ergo: of the Paths) Qaballah, Gematric methods must not be confused with those of Notariqon or even of Temurah, although the relevant Gematria of a working will most certainly be reflected in these latter two. Even in operations of purest Gematria, though, one must endeavor to not become too abstract in one’s correspondences (this is perhaps the greatest difficulty with this Art, which deals totally with abstractions). In practice, Gematria rarely becomes very much more obtuse than two or three connections of correspondence. For instance; הוהי = 26, this is 13 x 2. The Gematrician now has several points of reference for this number 26. Knowing that דחא = 13, the association between Jehovah and Unity extended as the Breath or the Name, may be considered. The reference to the prime 13 also suggests the hidden qualities of Kether in the expression. Perhaps even the individual digits 1, 3 & 2 may have some significant influence in an Adept’s particular Gematric meditation. The object of these mathematickal jugglings is to begin to invoke the elements of a particular sphere that one is intending to employ in one’s Great Work. Thus, to employ the sphere of Chesed, the short rune above is a beginning of a larger meditation (vide Sepher Sephiroth : 65 etc) leading to a comprehension of the God of Law. To employ this method to invoke Luna, for instance, one merely needs to find the correspondences and the Gematria of 9, and so forth. In this way, Gematria may become a solid support to an otherwise well founded Qaballah of one’s entire Life & Light, and then will it become Truly One of the Pillars of the Temple of the Wise. There are of course, many Gematrias, even in Hebrew. Each system has its individual merits, and within its framework, each system is exactly as invalid as the next. The Qaballah of the Bible, especially of the Old Testament, has a very particular format, and a misinterpretation by an erroneous choice of Gematric format is a very common mis-step (and the source of most sectarian squabbles). The Christian Qaballah is similar to the Hebrew, but extremely obscure and truncated (see Revelations). The esoteric Christian traditions though, have evolved a Gematria of that particular sphere, and this may be readily studied in works such as the Golden Dawn, etc. To a certain degree, each magician creates an Universe in his Qaballah of his Great Work. This compendium of symbols often contains a great deal of Gematria, as this is a very practical aspect of Holy Qaballah, and this is perhaps at the root of most confusion on this matter. In the process of building one’s Qaballah, a system of English Qaballah may come to hand, and the Book of the Law, being a perfect glyph of the Infinite, will be in consonance with it. By this means an individual may find how it is that Θελημα relates to his own Great Work. The unfortunate consequence of this is that often these magicians become distracted with this attachment to a book or to an identity, to the detriment of their Path. It is certain that the Book of the Law has its own Qaballah, and thereby its own Gematria. It has delineated what these are and who will discover them. There is only One. This Qaballah will reveal All of the Law to Everyone. For this reason, every individual ‘key’ of the ‘order & value’ of the English Alphabet must be investigated vigorously, whilst any Gematric practices or systems that one has developed must also be pursued (until a superior system is discovered). Ultimately, the object is to employ the most adaptable Qaballah, which certainly must be That suggested by the Goddess?